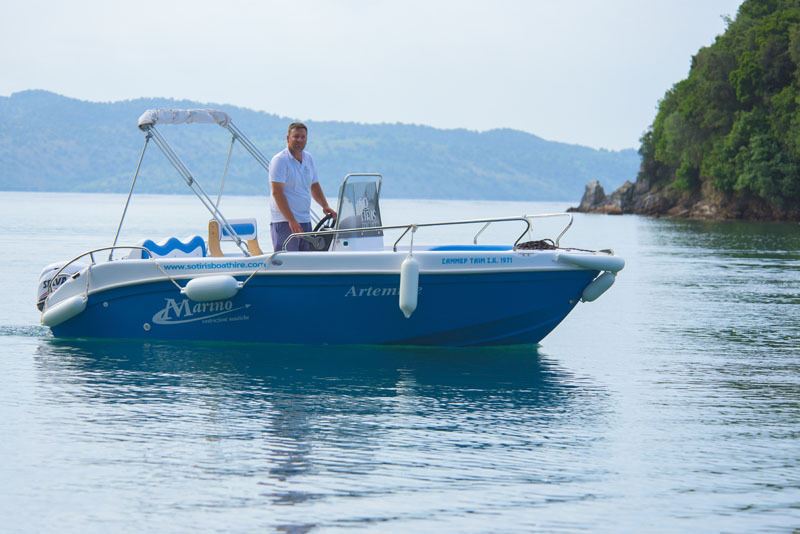 This modern sports boat is perfect for couples or larger groups of friends for safe sailing. Our boats in San Stefano offer the necessary facilities for absolute comfort, aiming at meeting all customers’ requirements. 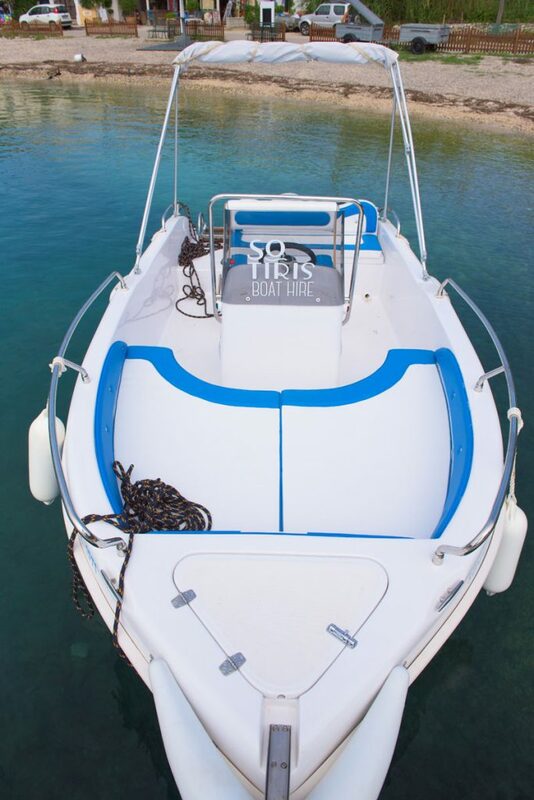 I consent Sotiris Boat Hire to keep my personal data, having read and agreed with the Terms & Conditions. Ideal for two families or larger groups. Ideal for two families or groups. The North East Coast of Corfu Island is famous for its natural beauty. Emerald green mountain slopes descend into the sapphire blue waters of the Ionian Sea. Barbati is the largest shingle on the east coast with many beach bars, restaurants and other beach facilities. Glyfa is the beach which is situated between Barbati and Nissaki, two of the most famous resorts of northeastern Corfu. Nissaki Harbor is a very characteristic fishing harbor with two restaurants, gift shops and water sports facilities, too. The name of this beach derives from the large hotel you can see in the area. Krouzeri is the next large and organized beach along with Kaminaki which is smaller but features nice restaurants and beach facilities, too. In Agni you can see a relatively small beach, having the reputation of being an amazing location for food since it boasts three restaurants each with its own jetty to moor your boat at. Kalami is a popular beach with many restaurants and other beach facilities. It is the closest beach to San Stefano with water sports installations for which you can pre-book by contacting us, if you wish. Some small secluded beaches along the coast of Kouloura, which is a small traditional fishing harbor, and a famous waterfront landmark. A small restaurant exists here, too. The popular Kerasia Taverna is the only restaurant here as well as a small café (Da Stefano). Sunbeds and umbrellas are available for rent, while there is also a small gift shop. St Spyridon is an organized beach along the coast with a hotel and other facilities. The long stretch of sand that covers the largest part of Corfu Island’s north coast is Acharavi. Heading further to the west, there is another organized beach, called Kalamaki. It has a jetty to moor your boat and a beach bar, while it constitutes the only sandy beach in the area. Several beaches surround the Harbor of Kassiopi, where you can find a lot of facilities, like restaurants, cafes, plenty of souvenir shops as well as amenities for comfortable living such as cash machines, medical services and a post office. Avlaki Beach is the first large and inhabited beach, slightly to the west with available sun beds, umbrellas and two restaurants with great menu.